This is Part 3 of a five-part series breaking down each of the five factors that make up our exclusive Head Coach Ranking. This week’s focus: Game Plan. We grade the strategic soundness of the offensive and defensive game plans for each game. We want to determine the efficacy of each team’s strategy as it enters the game, and whether the judgment made by each head coach regarding the path to victory or competitiveness is reasonable and sound. 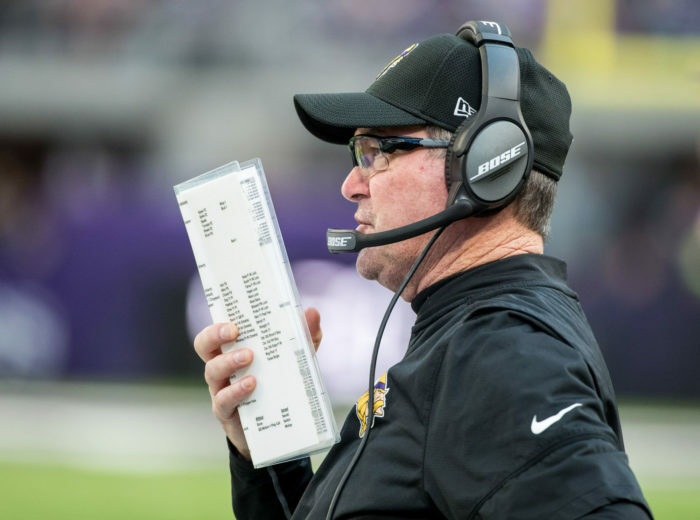 Mike Zimmer leads a top-notch coaching staff that has surely helped with that planning. It showed consistently on both sides of the ball in 2017. We gave him high marks for game planning in Week 16, when the Vikings pitched a 16-0 shutout at Green Bay. Defensively, the Vikings focused on their front four to keep pressure on Aaron Rodgers all day. Philadelphia Eagles head coach Doug Pederson did a nice job game planning all season, and he especially made his mark late in the season when his franchise quarterback, Carson Wentz, went down with a knee injury. Pederson and then-offensive coordinator Frank Reich said right off the bat that they would only make minor tweaks to the game plan. Some coaches in that situation might have completely re-written the game plan to better suit backup – and eventual Super Bowl MVP – Nick Foles. Pederson was wise not to mess with a good system.